The snow started about 10 am around our house. Since I knew we'd be staying in for a while, I had a few things saved to break up the monotony. 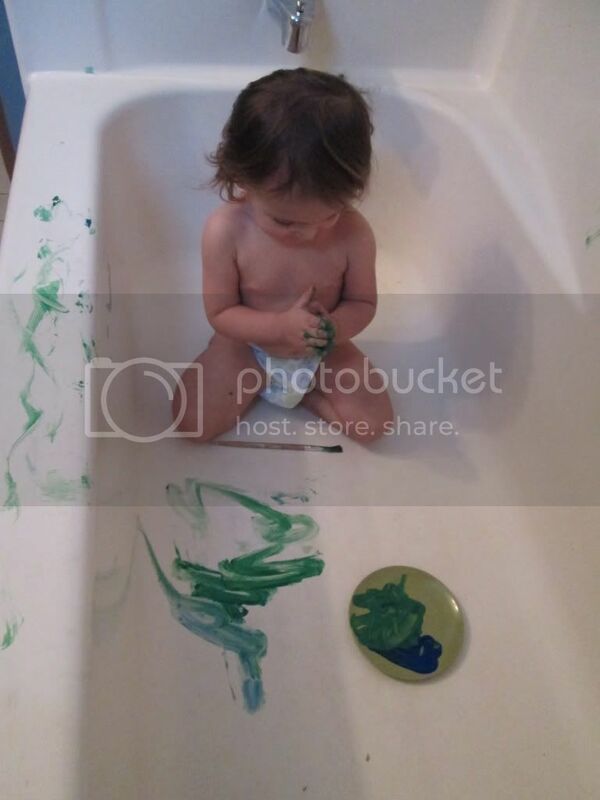 Like painting in the bathtub. 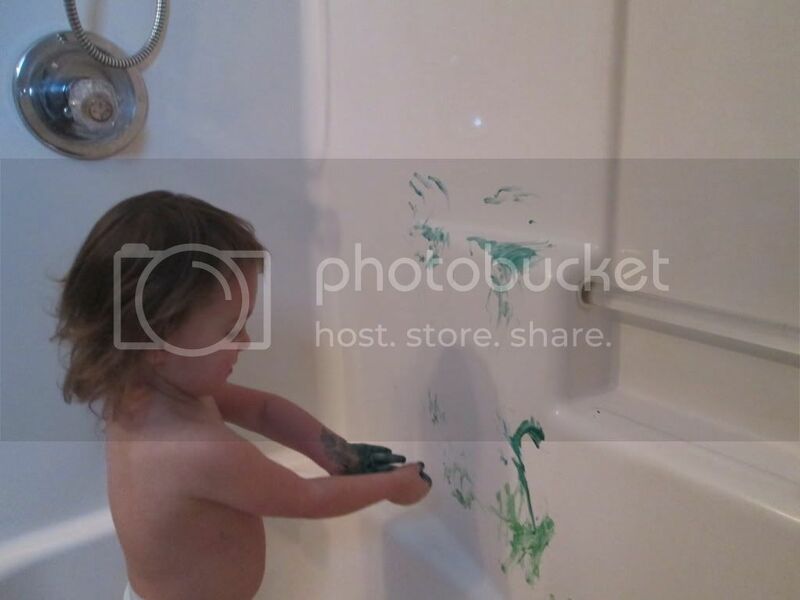 I'm pretty sure she had more fun rubbing it in her hands than she did painting the tub with it. 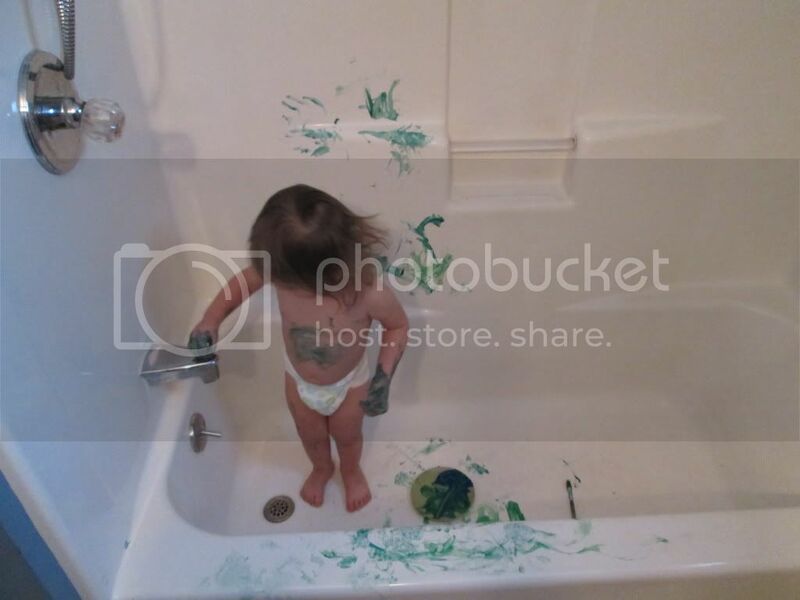 The best part was that it washed off the tub as easy as if it was soap. 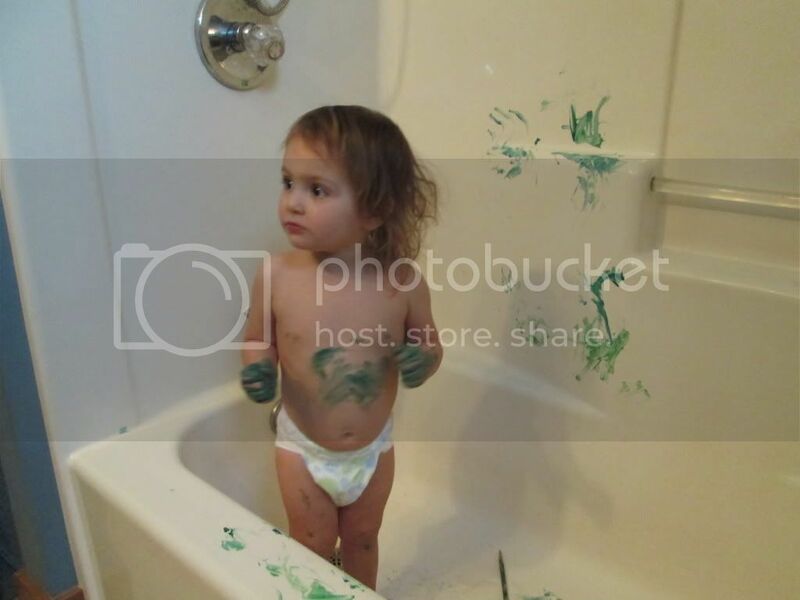 I didn't even have to rub or scrub any of it. 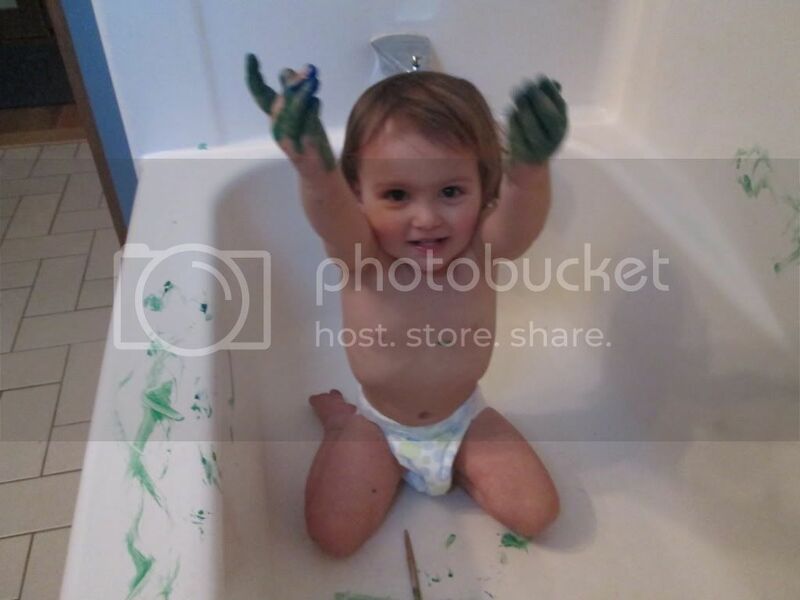 We're definitely going to be doing this again. Part 2 (the actual snow) coming soon.